I want to show here that we really want our local grocers to be a part of the conversation when it comes to food and truth in advertising. I hope that we hear from Fred Meyer at some point to hear what their thoughts are on this important role they have to play. ← Crap on the Farm, Literally! For your information, a Wilco ad a month or so ago had a similar comment about their seedlings being GMO-free. 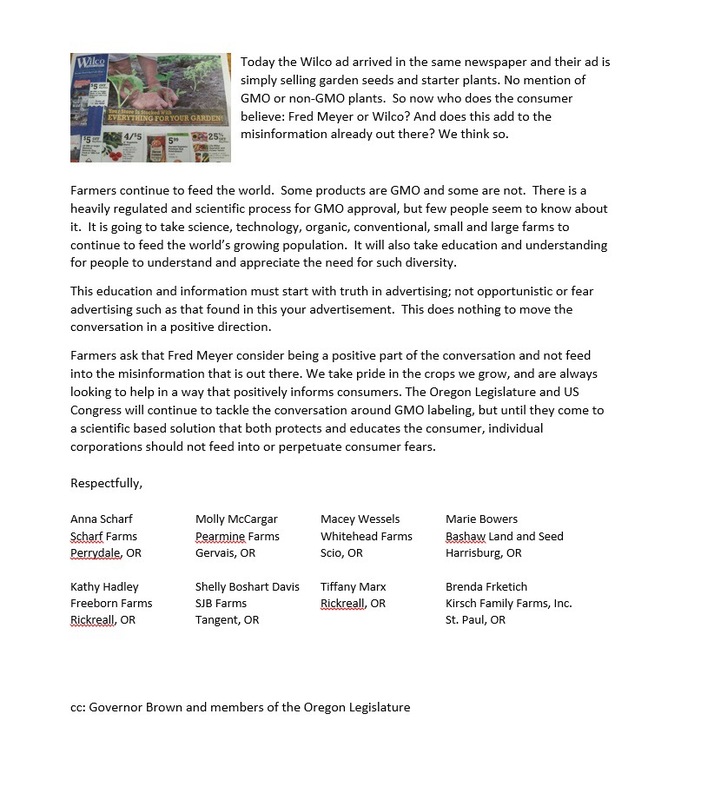 I sent them an email stating that as a farmer-owned cooperative it was inappropriate for them to cast a negative light on GMO technology. 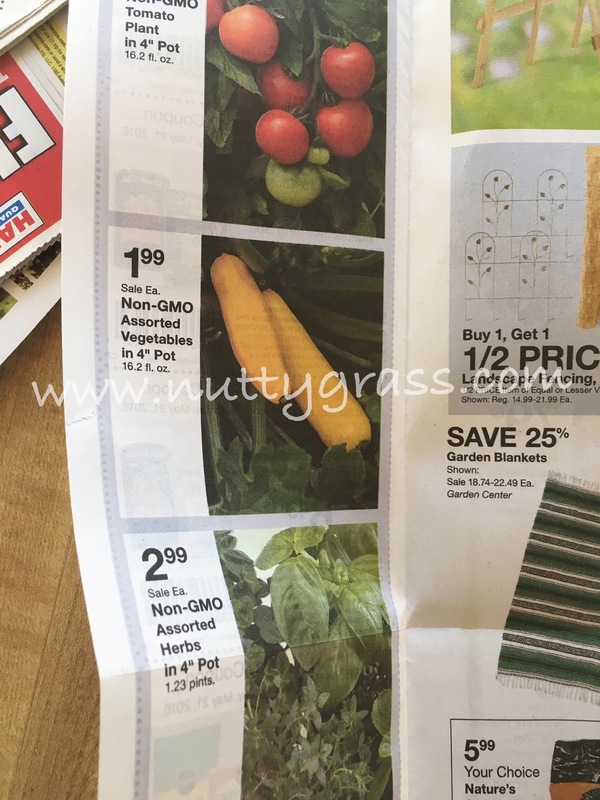 Especially since ALL vegetable seedlings, plants and seed available to home gardeners are non-GMO. 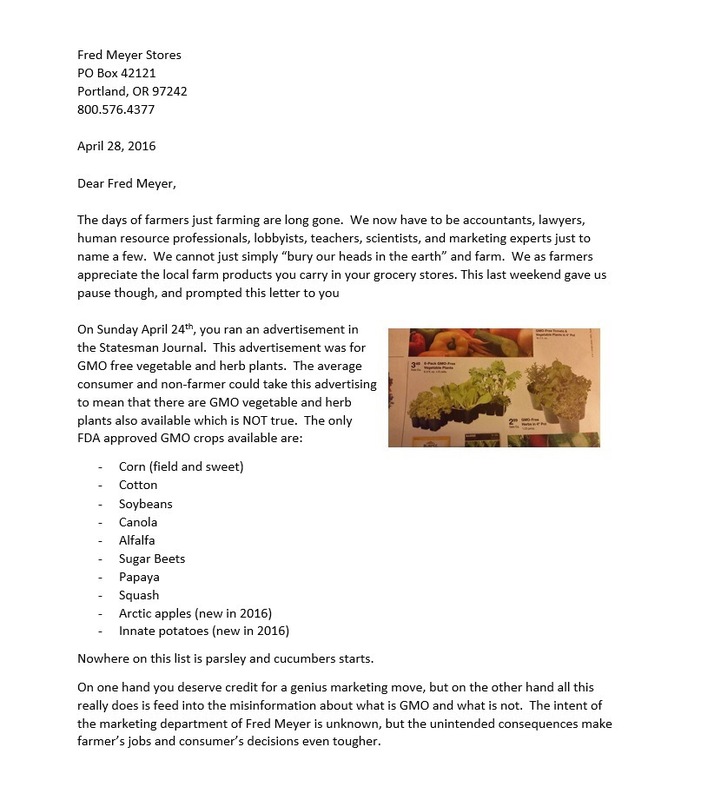 I got no response back from them, but the GMO-free language disappeared from more recent ads. We have to keep our eyes open and respond with a rapid and strong message whenever these inappropriate marketing gimmicks are used by retailers. My next target is Costco as they force consumers to buy organic because that is the only option for many products.